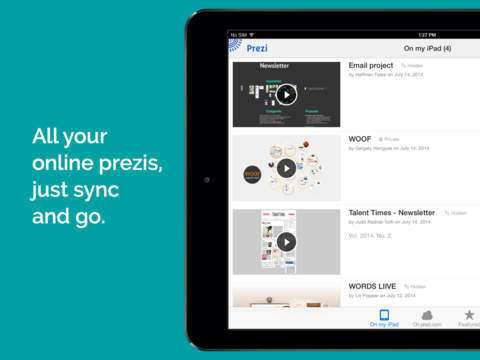 Prezi for iPad – Create, edit, and present anytime, anywhere Always on the go? 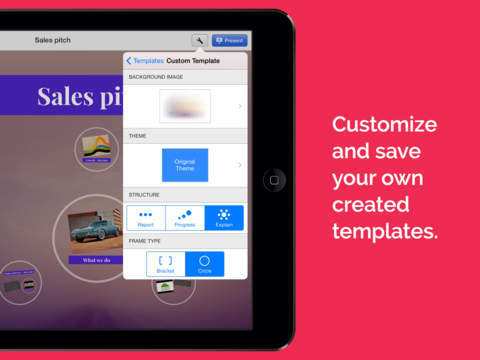 Then you’ll want Prezi for iPad. 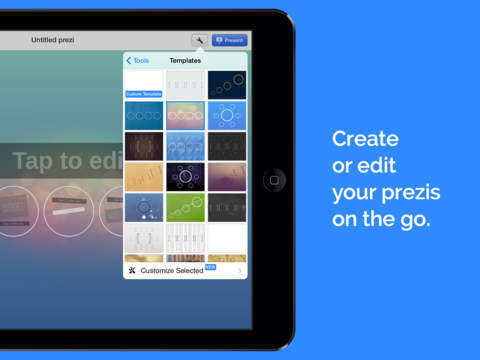 Prezi for iPad lets you create, edit, and share your presentations wherever and whenever you want. So you can grab some last-minute practice on the way to a big meeting. Make final tweaks in your hotel room the night before. Collaborate with co-workers over lunch. And pitch to the guy sitting next to you on the flight home. This essential app opens up possibilities as easily as you open up your iPad. “Our sales team loves using Prezi on the iPad because it’s a very professional way to present our message and it makes them look like a hero,” — Israel Saari, BioGuard’s Digital Marketing Manager. Free Video - Playlist Manager for YouTube !